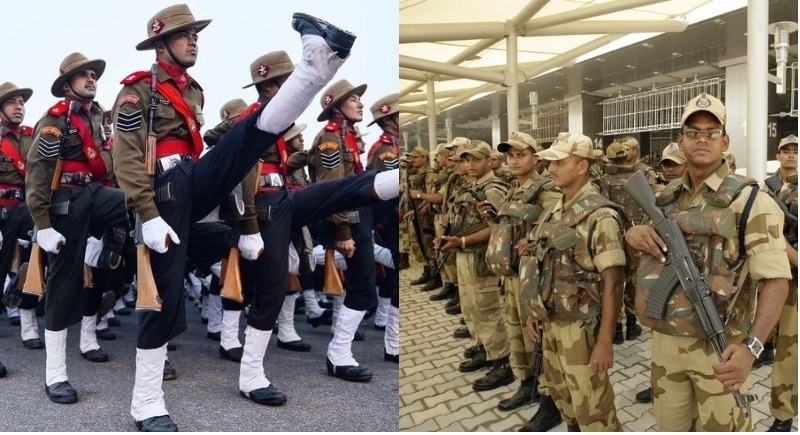 New Delhi, July 18: The Home Ministry on Tuesday said that religion is not a criteria for recruitment in paramilitary forces. The reply of Home Affairs Ministry comes after AIMIM leader Asaduddin Owaisi accused the Centre of neglecting Muslims for government jobs, including in central paramilitary forces. Notably, at a press conference in Hyderabad, AIMIM leader Asaduddin Owaisi accused the Centre of neglecting Muslims for government jobs, including in central paramilitary forces. He further asked, "In the last four years, under central sector, whether banks, whether railways, central paramilitary forces... How many recruitment of minorities have taken place?" Politicians and political parties every now and then give inappropriate statements, but it is unfortunate that they do not spare security forces also. Likewise, AIMIM leader Asaduddin Owaisi with an aim to earn political mileage questioned the dignity of security forces and tried to pull their morale down. Replying to this, the Home Ministry spokesperson said, "Religion is not a criteria for recruitment in paramilitary forces. There is no room for any religion in the recruitment process." Importantly, Central paramilitary forces include CRPF, BSF, CISF, ITBP, SSB, NSG and Assam Rifles that functions under the home ministry. The total strength of these forces is around 10 lakh personnel.